•First RCS (Regional Connectivity Scheme) Flight by March-2017. 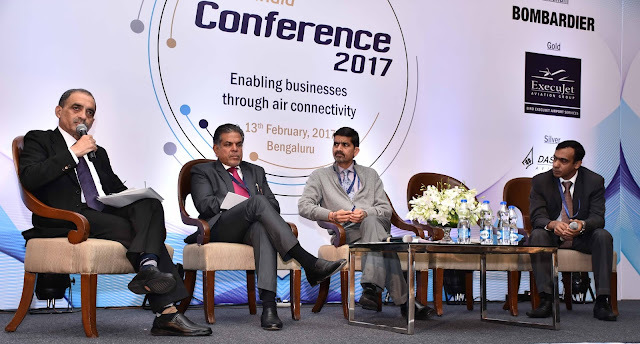 •Regional Connectivity to Unserved Airports to Increase Says AAI at BIZAVINDIA Conference & Awards-2017. •Business Aircraft Operators pitches for more regularized policy by Aviation Ministry. 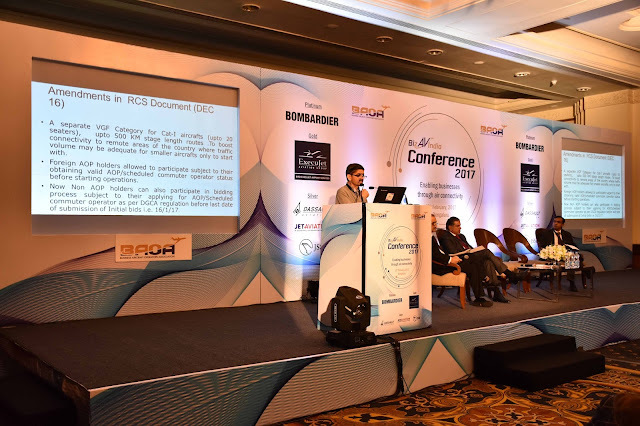 Bengaluru, 13th February, 2017: As part of its effort to recognise merit and excellence within Business & General Aviation in the country, Business Aircraft Operators Association (BAOA) in partnership with Bombardier Business Aircraft presented the BizAvIndia Conference & Awards 2017. 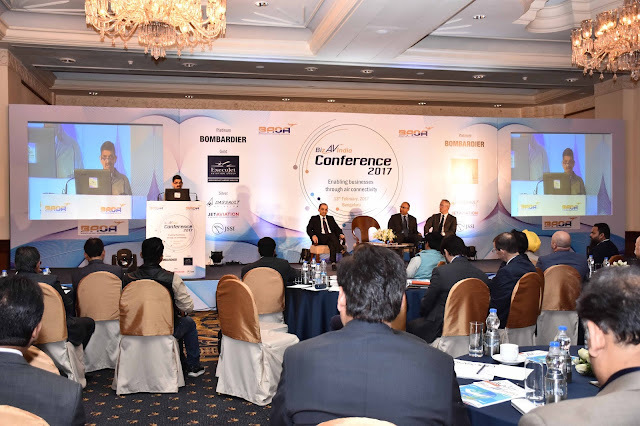 The Conference saw the Presence of Mr. Jayant Nadkarni, President, BAOA, Mr. Kurt Edwards, Director General, IBAC , Mr. G.K Chaukiyal E.D -Airport Authority of India and many major Private and Non Scheduled Operators, Aircraft Manufacturers and ancillary service providers operating in India were present at the occasion. The Conference initiated with the welcome address by President BAOA Mr. Jayant Nadkarni. 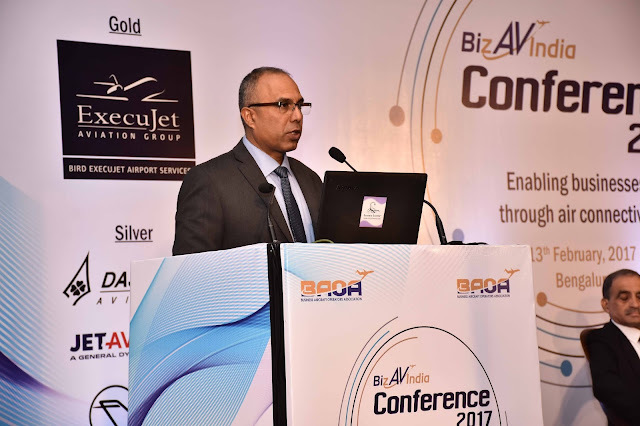 Mr. Nadkarni thanked all the operators-aircraft manufacturers and other delegates for attending the BIZAVINDIA-Conference & Awards-2017. Addressing the Conference Mr. G.K Chaukiyal E.D Airport Authority of India described the historical steps taken by the Central Govt. in June-2016 of announcing RCS-Regional Connectivity Scheme and UDAAN Scheme (Affordable Flying Scheme for Every Citizen-Rs.2500 for One Hour Flight). 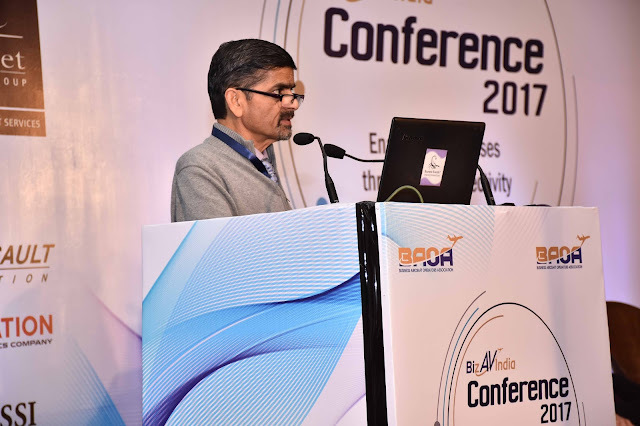 Mr. Chaukiyal mentioned measures has been taken to increase connectivity to unserved airports across the nation. He mentioned the potential of Indian domestic travel which is currently ranked 10th with USA being leader. He added that Indian Aviation Sector is set to receieve major boost with policies like UDAAN and RCS. 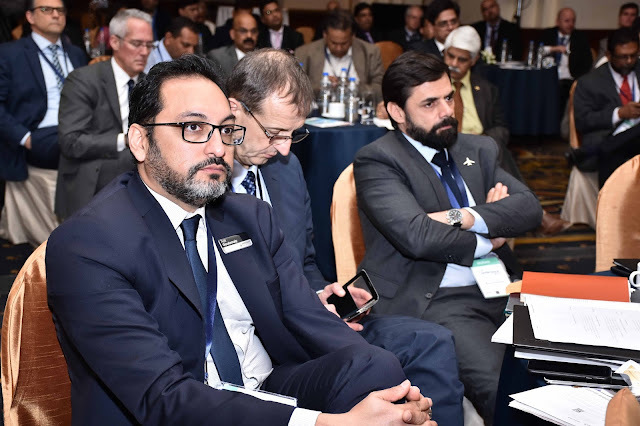 The Conference saw some of the participants of the BIZAV INDIA Conference requesting the government to streamline various processes which business aircraft operators and manufacturers face while renewing license, issues related to parking, etc. 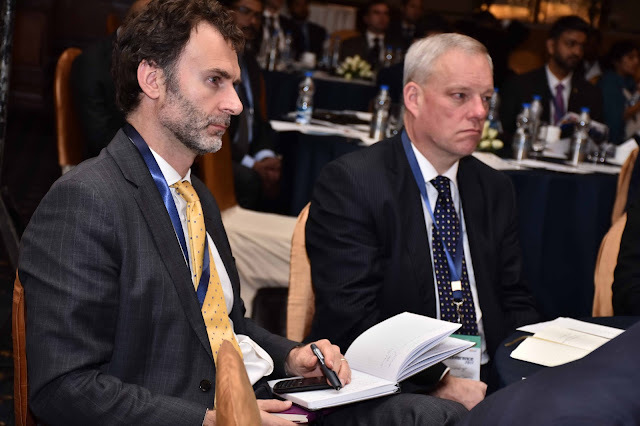 Other Sessions like Enabling businesses through Business Aviation and Business Aviation Environment also saw lot of participants and speakers. 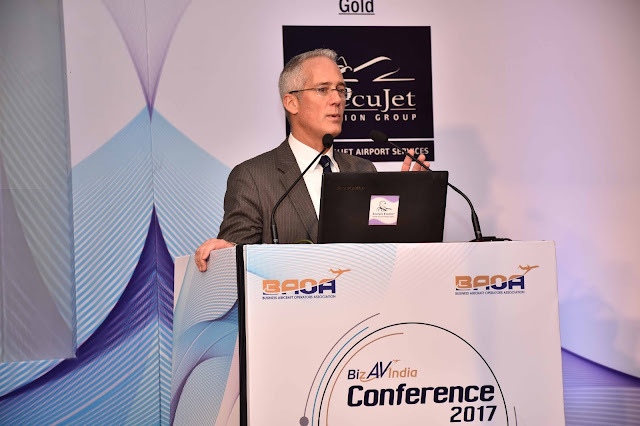 A not for profit organization, BAOA, is a unified voice of General & Business Aviation (GA & BA) sector in India. 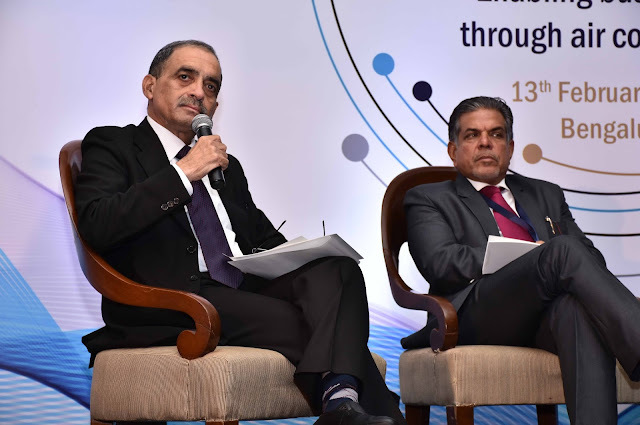 It aims to create a congenial environment for the sector’s growth, by ensuring better coordination amongst industry stakeholders, regulatory authorities and the Government. The Association is comprised of all major Private and Non Scheduled Operators, Aircraft Manufacturers and ancillary service providers operating in India. Visit http://www.baoa.in/ to read more on BAOA’s activities.